The good news: I’m writing a cookbook. When I set out to write How Not to Die I wanted to create more than just a reference book. Yes, I tried to pull together all of the most compelling evidence on the role diet can play in preventing and reversing disease, but I also sought to make it a practical guide for translating those thousands of studies into an actionable guide to day-to-day healthy living. That became the second half of the book, in which I centered my recommendations around a daily dozen checklist of foods I try to fit into my own daily routine. The response to the Daily Dozen has been tremendous! While I offered some thoughts on ways to incorporate things like turmeric or flax seeds into your diet, we’ve been getting flooded with requests for more recipes. The science is there, but how can you make anything taste good without adding salt, oil, or sugar? So I’m excited to announce my plans for a companion How Not to Die Cookbook (all my proceeds, as always, go to charity). The bad news: Given all the recipe testing and food photography, it’s not going to be out until December 2017, more than a year away. Vegworld Magazine, run by the Texas power duo featured in the documentary The Marshall Plan, has generously offered free one-year subscriptions to all NutritionFacts.org subscribers. If you subscribe to NutritionFacts.org, sign up for your free one-year subscription to the magazine here. Thanks to the tremendous influx of support this year, we have doubled our operations staff. 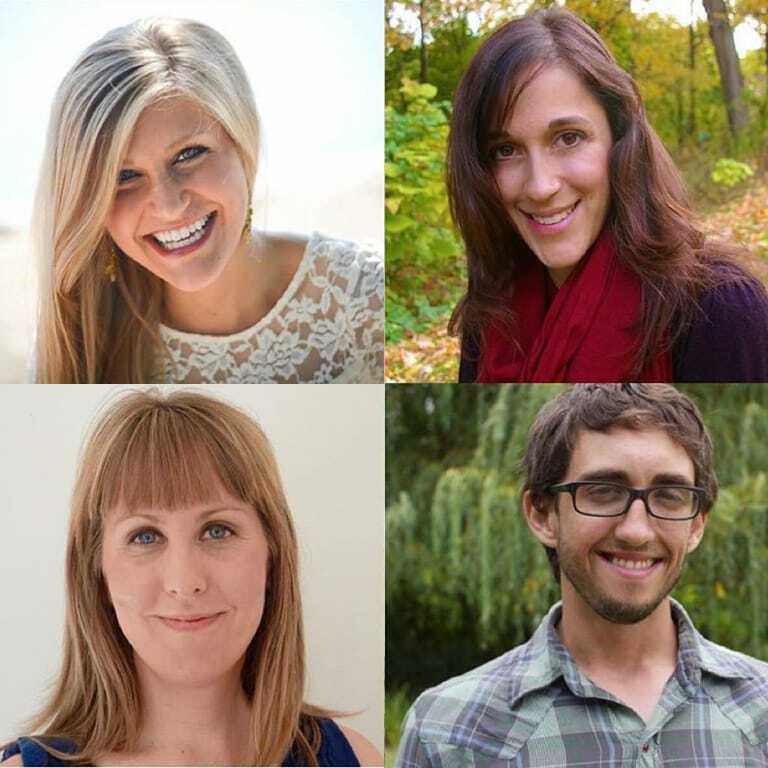 Read more about all the new hires on our About page. Kristina, for example—our Registered Dietitian turned NutritionFacts.org Social Media Director—has increased our Instagram followers nearly 15% in just three weeks. Check it out! Kate and Steven were hired to help coordinate our ever-growing army of volunteers, the lifeblood of NutritionFacts.org. We are launching a special email newsletter to keep current volunteers up to date, as well as relay new volunteer opportunities and quick, simple things anyone anywhere can do to support our mission. Currently, our most urgent need is for volunteers with university or hospital library access who can help us retrieve scientific studies. Right now, our article retrieval team is pulling about 700 papers a week, but to feed the voracious appetite of our 19 researchers we really need to get up to around 2,000 a week. So if you are affiliated with an institution with electronic access to medical journals please consider pitching in. Dr. Greger, do you need any more recipes for your cookbook? I have a fantastic vegan ice cream recipe I’d love to share. It’s sugar-free, simple, quick, has 6 ingredients (3 from the Daily Dozen). My husband asks me to make it for him almost every night. Julie: If Dr. Greger does not want it, I do! Steffen Jurisch: My absolute pleasure! Thea: I have a question since you’re a moderator. 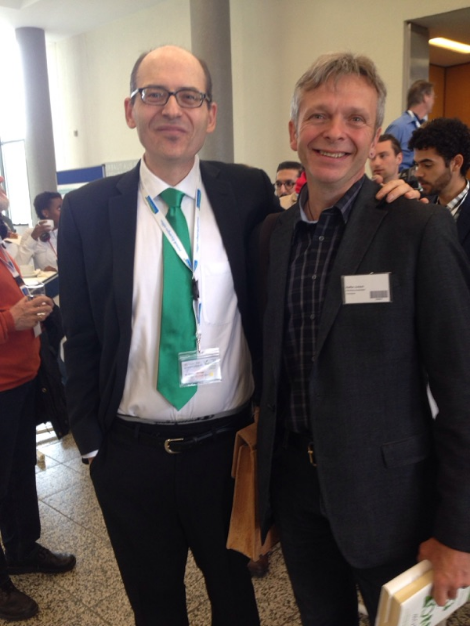 Will the two Q & A sessions with Dr. Greger be later available on NF.org for guests to view? (I don’t do Facebook or Twitter.) Thanks Thea. George: I don’t do Facebook or Twitter either! I was thinking the same thing as you after reading that section. FYI: Things may change with the newly planned Volunteer Newsletter. But at least to date, I am as much in the dark on plans as you are. I learn about everything as everyone else does on this site. I do, however, have a way to communicate with the new volunteer coordinator. So, I will pass on your question and let you know when I get a response. My 2 cents: I think it’s good to keep asking. 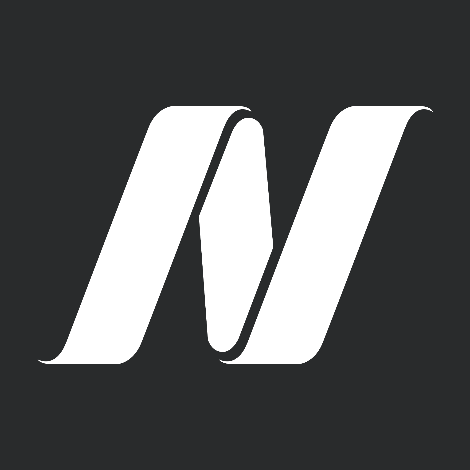 If enough people express an interest, maybe the information will be made available here on NutritionFacts. I wil tell my daughter studying in Austria!!!!! She will be happy since they can use this info in her health class!!! I would love the recipe! Could you please send the recipe to me? Pls let me know the recipe for ice cream. After being vegan my meal remains incomplete. I’d like the recipe if possible. Thanks! Those Lighter recipes are full of fake meats containing coconut oil and soy protein isolates – most trying to sound like they are vegan protein substitutes. These definitely would not fit John McDougall’s idea of a good diet. Are these really what Michael Gregor would recommend? Hi there, I work for Lighter, and just wanted to clear this up! If you click “Follow Dr. Greger’s Recommendations” on Dr. Greger’s page, your menu won’t have any fake meats in it; it will adhere to his recommendations. You can also indicate in your preferences that you don’t like/want “meat alternatives” or “dairy alternatives,” and then they won’t show up for you. I hope that helps! Got it. Much better. Thanks! Hi Lara! I write whole food, plant-based oil-free recipes and have written for a bunch of publications, including Forks Over Knives (recipes coming to their site soon), Food Revolution Network, and a vegan food company-Veestro. I was wondering if you’d like to check out my work and see if there would be interest in working together. I love Dr. Gregor’s work! My site is http://www.gardenfreshfoodie.com-thanks! I signed up on the site and added meat/dairy alternatives to my dislikes. I’m getting tons of recipes with beans, lentils, and my favorite tempeh! And tons of colorful fruits and veggies. No processed foods, no oil. I love it! IM SO EXCITED THANK YOU!!!!! I LOVE that shirt!! Where can I get one?? Love this man and LOVE following him on Lighter! His 7-Check Mark Smoothie is delicious and nutritious – just the best!! Agreed! I found his golden tumeric dressing on Lighter and have been inserting it in my meal plan every week! SOOO GOOOD!!! I’m really excited about this – I love lighter and use the site every day. I feel the addition of Dr. Greger’s meal ideas make this tool invaluable. I have been loving using Lighter! They develop DELICIOUS plant-based meal plans and amazing recipes based on your budget, time, allergies, and preferences. I have been cooking without adding oil, salt, and sugar for some time now and I have Lighter to thank for that!! The meals are delicious and everyone has found them very flavorful and satisfying! It’s a great resource if you’re looking into eating the way Dr. Greger recommends! omg I love everything about this! Does Lighter do like full nutrition info? I wanted to send out a BIG “Thank You” to Dr Greger for all that he is doing to help us learn to eat healthy and live the best life possible. I am reading How Not To Die that I checked out from the library (can’t afford to buy it just yet). I made my own Microsoft Word document of the Daily Dozen and will put it into a page protector on my refrigerator. I’m going to enjoy the recipes from Lighter as well. At first glance, they seem to be more “normal” plant-based foods and will be more affordable for me. I tried Dr Neal Barnard’s 21-Day Vegan Kickstart once, but gave up trying to follow the recipes because I could not afford some of the more unusual ingredients. I’ve been eating a (mostly) whole foods, plant-based diet for about 8 months now, but after reading How Not To Die, that is convincing me to go to completely plant-based. I’ve lost 37 pounds, gotten off of cholesterol and diabetes medications, and hope to soon be off a blood pressure medication and an anti-depressant. (Need doctor’s guidance to taper off of those.) Again, Dr Greger, thank you so much! If only I had started reading this when I was younger…. Seriously, I wish stuff like this had been available a few decades ago when it really mattered. Now I’m gonna have to double up on some of those yummy recipes to make up for lost time. That does work, right? I’m 68 and the past 8 months of healthier eating has certainly turned my life around for the better! It all sounds great. We can’t wait to try the recipes. Thank you for sharing this great resource with the community. The site makes it very practical to apply your principles to life. The very first meal and I already have a question about it. It’s: “Breakfast Polenta with Banana & Berries.” Sounds very palatable and the pictures add to that. Now the recipe adds in one plate fruits (berries, banana) and fats (“Mix it up with your favorite fruits, nuts or seeds…”). What will result when you combine fructose (fruits) and fats (nuts/seeds)? Wouldn’t a human liver began producing triglycerides (when one combines fructose and fats), bad cholesterol (instead of turning fat into energy)? I,personally, experience on myself when I try such a combination (when I eat any meal, a nutrition bar that has fruits and nuts/oils/fats, I began feeling chest pains. When I allow about 2 hours, first fruits and then fats, I don’t get such reaction. Also helps any exercise after fruits to burn off fructose from the system. This very much restricts my schedule and meal planning. Would you please elaborate on this nutritional/anatomical aspect? How would you stop such a reaction by the liver, to convert fat to triglycerides and instead burn/turn it to energy? “when I eat any meal, a nutrition bar that has fruits and nuts/oils/fats, I began feeling chest pains…” You need to see a doctor, that’s far from normal. It is…,but Docs don’t find problems with heart, electrocardiogram ekg doesn’t show problems. Thanks for the replays but still can someone answer my question about fructose (even in a fruit) and far… The liver begins to produce triglycerides..
Fruit is not fructose its a whole food. I second baggman744’s suggestion, you should see a cardiologist. Maybe its me . . .but I found the Lighter site to confusing and difficult to use. Not intuitive. Too time consuming to try to figure it out. It’s much easier to go to Dr. Mcdougall’s site, type in whatever your’re searching for and up pop a whole bunch of choices. I’m an eggplant eater. . . Just type eggplant into Mcdougall’s search engine and up come the recipes. Just pick one and get cooking and, more importantly, get eating! Lighter, in my opinion, is way over-engineered. Keep it simple. Thank you for your feedback! It will help the developers as they work to improve this site. I went to the lighter web site and it wanted me to sign in etc, etc. No way. Forget it. Not a joiner. I would like to buy a t shirt but the nearest country to New Zealand is Australia in the shipping list. I reckon if you can ship to those Aussies , then you should be including us Kiwi’s in the Southern Hemisphere – any chance? 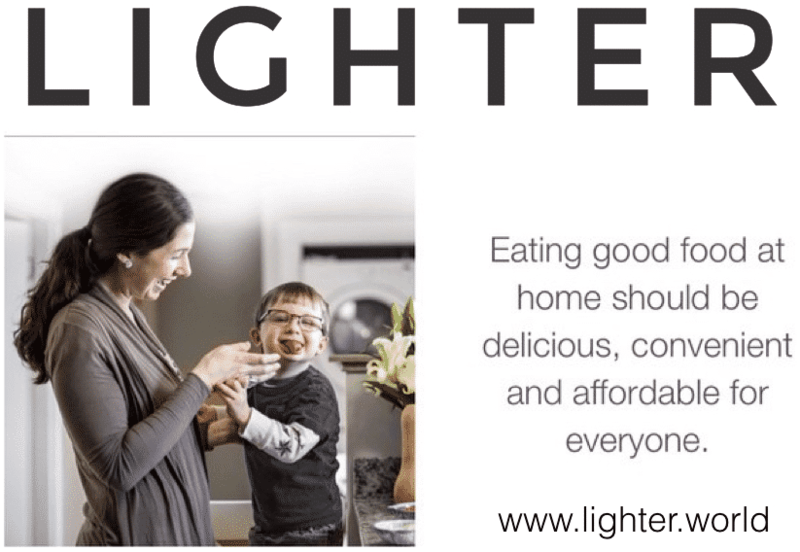 I joined “Lighter” via the above link but I don’t believe it is consistent with Dr. Greger’s recommendations in his book and I am very disappointed. Today’s dinner menu item, for example, was a “puff pastry pizza” made with commercial puff pastry. I would be much more likely to make my own yeasted whole wheat crust and avoid all the animal fat. 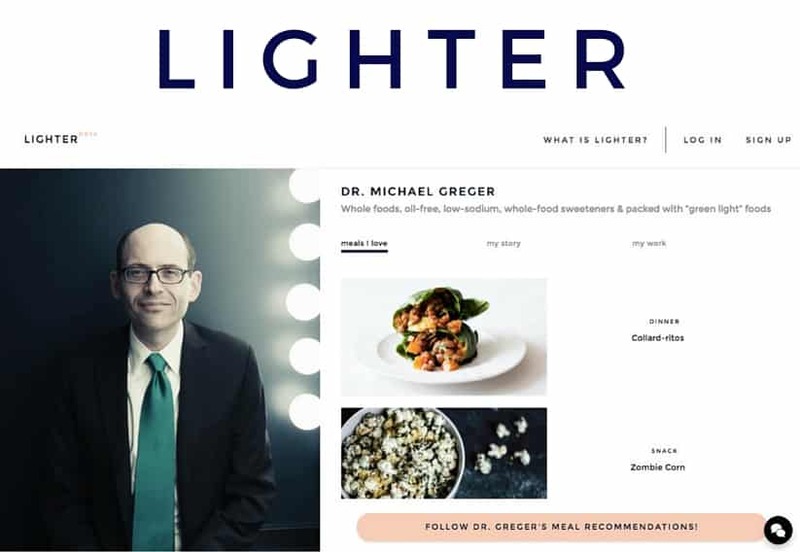 I look forward to Dr. Greger’s book but I think “Lighter” is not a good choice. Rachel from Lighter here — I just wanted to clear this up! If you click “Follow Dr. Greger’s Recommendations” on Dr. Greger’s page, your menu won’t have any processed foods in it; it will adhere to his recommendations. You can also indicate in your preferences that you want “low-processed foods” and then those types of ingredients won’t show up for you on your menu. I hope that helps! Thanks for the quick response! I will try again. We love the Lighter concept….keep up the good work, Lighter team! Went to Lighter, and am very disappointed. Most of the recipes are not ones I would prepare. After I had printed off one to try, and wanted to print off another, I got a message telling me I had to pay. Sorry, not paying for something advertised as free. Hi kc – There are two different options when using the Lighter website. There’s lots of free content available (recipes, meal plans, etc.) – then there’s also an optional monthly membership plan. When exploring their site, just be sure to stay in the “free content zone”. Lots of fun stuff over there! Hope you find the time to check it out again soon. Great news that a cookbook will be coming out. However, someone already published a cookbook with the title, “How Not to Die” and listed it as a companion to Dr. Greger’s book. There are many negative comments on amazon.com requesting that the service remove that book from their listings because it is unauthorized, and contains recipes with key ingredients such as shrimp that Dr. Greger would never approve. Hope this erroneous version can be more clearly identified before the real one appears. Several people already purchased the imposter version not realizing it had no relationship to Dr. Greger and his dietary principles. I’m disappointed with the recipes on the Light website. Many of them are fried in olive oil or cooked at high enough temperatures to oxidize nutrients and form harmful compounds or AGE’s. It seems to me that Dr. Greger’s recipes are not up to Dr. Greger’s standards. I doubt that I’ll be buying the cookbook if it’s anything like the sample recipes. I have a great vegetable bean dip recipe, I would like to share. I don’t like to follow complicated recipes with lots of ingredients, and lots of processed, fake but still vegan ingredients. I like to stick to more natural, simpler stuff. I have a steamer, rice steamer but I cook my rice on a pot on the stove. barely, etc ) — cooked separately on the stove. And some beans, usually cooked separately. I put alot in the steamer, so there is usually leftovers for the next day. It may not look as professional as the recipes & menus that have tofu and fancy, complicated ingredients with spices & sauces. But it has lots of vegetables, greens, grain & beans. I really love the site so far. However, it is kind of frustrating that most of the good advance features cost you money. I don’t mind paying money but there should at least be a 30-day trial period of the full version. I would like to see it work to its full potential before I throw down money every month or yearly. Please, can you put those t shorts up for sale again?? Aimee: Glad you are interested. It is my understanding that they have plans for similar fund raisors in the future. Just keep an eye out. Hi again, I’m only taking a statin, and if I follow the “Daily Dozen” to the letter, following recommended # of servings and serving sizes, and I had a heart attack 12 months ago, would this satisfy my daily nutritional requirements also? I’m messed up about this daily dozen list – please help! So in the “how not die” it tells me I should get 3 servings of 50 grams of cold cereal (I guess oats will do?) or 100grams of hot cereal ( I guess oats will do?) – so does this mean that if I heat up my yummy stuff I can eat double the amount? This makes absolutely no sense to me hahaha – please help explain it to me! And btw: why aren’t we allowee more the 1 and 2 servings of the different vegetables? It seems like nothing to me when you think about how quickly you can get them from frozen form. I am a volunteer for Dr. Greger. Thanks so much for your question. One reason that the hot cereal may be twice the weight (amount) of cold cereal is that water is added to the hot cereal during cooking, which takes on quite a bit of the weight. I would focus more on serving sizes than the weight of the food. Overall, he recommends 3 servings of whole grain foods per day. This could be 1/4 cup of dry oatmeal, a slice of 100% whole wheat bread, a 1/4 cup of dry quinoa, etc. Regarding the vegetable recommendations, Dr. Greger recommends these as minimums. By all means, he would love to see people eating more fruits and vegetables, especially dark green leafy vegetables and berries. There is no limit or maximum intake of fruits and vegetables. I hope this helps answer your questions. Best of luck! The application and the Daily Dozen video both say a serving is 1 cup of cold cereal, or 1/2 cup of hot cereal. The comment you responded to is reversed (though in grams). Which is the correct version? If not the mobile app and the video, I guess you should correct those. Hey Dan, thanks for writing. Because hot cereal has to have water added to cook it, I believe the larger volume corresponds to this kind of cereal. Cold cereal being dry is a more concentrated source of calories, so the serving size would be the smaller amount of 1/2 cup. him/her to pay a visit this website, Keep up the fastidious job. Hello – I am really excited to get ahold of you book – trying to get a copy in SA. I have Costochondritis and wondered if any of your top 12 foods to eat daily will help to cure my condition. Or perhaps you may recommend something, other than pain medication, that could assist. I have tried Noni Juice, all sorts of herbal medicines, homeopathic remedies and none are proving to be effective. Many thanks! I am trying to get to a healthier weight and really would love for recipes to include nutrition information and calories. Hi. I’m Maxine founder of VeganApron.com – we are a start up and the first UK vegan recipe box. We are wanting to find out if we can use your recipes (like Lighter do) in our recipe boxes. We would love to create a recipe box / kit service for people trying to prevent and reverse the main diseases. We are a start up and we were thinking of having a % of the recipe costs to go to your charity. We would be more than delighted to talk to your team! It would be very exciting and brilliant to deliver all the food people need to help them reverse their issues. Thank you for your comment and support! Please submit a ticket via the lower-right “Support” button on the website to ensure your request goes to the right person. I have your “how not to die” cookbook. Is it generic or people with autoimmune disease can use it? As one of the volunteers for Nutritionfacts.org, I’m glad you now have the How Not to Die cookbook and will be trying out those delicious-looking remedies. As far as whether folks with autoimmune disease can use it- Please do. Healthy food, as Dr. Greger often points out can benefit many body systems, so we don’t need a cookbook for each seperate organ system. Please cook away and enjoy!